Some say snow cover is too cold for camping. To that we say, “not if you have the right tent!” These 5 winter camping tents will be sure to leave you warm and dry, no matter the weather. Once you have selected the perfect location and honed your winter camping skills, you will want to know what criteria to look for in a winter tent. Also called “four-season tents” for their ability to keep you warm all year round, winter tents vary by weight, size, capacity, portability, and more. Make sure to do your homework to find the winter tent that is suited for your needs. So this winter, don’t leave yourself out in the cold! Scroll down for 5 tents that are sure to keep you toasty this Holiday Season. For top-of-the-line, extreme warmth, you want Arctic Oven. Now, it’s not for backpacking--this is better for car-side outings, however, you will be hard pressed to find one warmer. With their signature heavy-duty 4 oz. urethane coated oxford nylon floors and Vapex™ walls, this winter tent is both highly waterproof and extremely breathable. It even has a space for a stove. Arctic Oven comes in several sizes, but the Igloo provides 79 sq. ft. of space and a geodesic dome roof. It weighs in at 37 pounds -- no cream puff. The price is no cake-walk, either. However, for the warmest and latest in weatherproofing technology, this is the way to go. The Hilleberg Jannu is named after a 25,000 foot peak in the Himalayas -- and it lives up to its name. Jannu is designed for alpine climbing and mountaineering, so it is sure to stand up to your most rugged outings. It also stands up to the pressure of snow on the roof and carries well in a lightweight pack, at only 3.2 pounds rolled up. With a 34 sq. ft. interior, it comfortably sleeps two hikers. 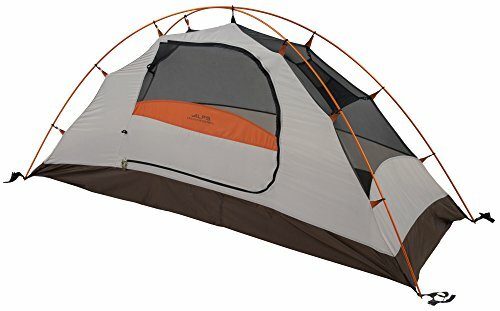 As a backpacking tent, it is low-slung, but contains a 13 sq. ft. vestibule that allows for more storage space. The Kerlon fabric dome allows plenty of headroom, as well. If you want a lower-end, sturdy lightweight backpacking tent that won’t break the bank, Eureka’s Alpenlite series is the winter tent for you. This two-person winter tent features a double-wall design with rip-stop reinforcement and a protective coating to repel rain and snow. Weighing in around 7 pounds folded up, the 2XT is not the lightest tent around, but still doable and provides the needed warmth at lower temps. With 31 square feet of floor space, the 2XT has a roomy A-line design and a covered vestibule. Try it if you want a mix of utility, affordability, and comfort. 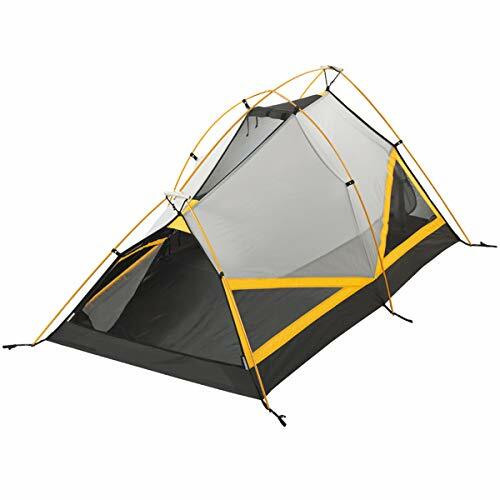 If you’re looking for something with a little more space and middle-of-the-line features, try the Black Diamond Bombshelter. It uses breathable single-wall Todd-Tex fabric that sheds water and provides ventilation, with taped seams to prevent moisture leakage. 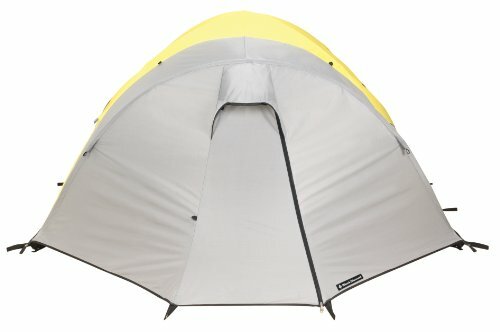 A good base-camp tent, it sleeps four and weighs 9 pounds packed. With 50 sq. ft. of interior space and 20 in the vestibule, there will be plenty of room here for everyone and their gear. The internal poles intersect 7 times for a light, strong design that will have no problem handling alpine conditions. This versatile tent will do well will be your fair-and-foul-weather friend. Solo hikers will especially want a good tent to keep extra warm (it can be chilly with no one to snuggle up to). This one by ALPS Mountaineering features factory sealed fly and door seams for excellent weather protection, as well as a roomy vestibule to shelter you from the wind. The Lynx 1 uses half mesh walls for ventilation with an adjustable fly to protect from the weather. The 75D 185T Poly Taffeta flooring will keep you off the ground, and the two-pole system will be easy to set up on your own. At 4 pounds you can easily pack it in and out, and the 20 sq. ft. will give you lots of legroom. Sleep warm and dry on your next solo hiking trek! As you can see, the world of winter camping tents is full of options, and this can be overwhelming to the uninformed. Beyond the usual criteria like price and weight, you will need to double check the manufacturing details and the warranties to guarantee the best possible purchase experience. Be sure to research different fabrics and features before deciding on your new home away from home this winter. Thankfully, all of these winter camping tents have great reviews and product recommendations. Start here with these brands and types, and we are sure you will find the perfect winter tent for you!